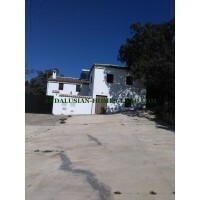 Cortijo with two floors refurbished and ready to live. On the ground floor has kitchen with fireplace, living room, one bedroom, lounge area, one fitted bathroom, terrace, patio and garage with storage. Likewise the house has space for animals. 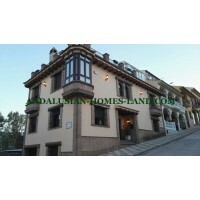 Magnificent cortijo of 17000 m2 of irrigated land ideal for people who seek tranquility and at the same time live five minutes from the urban center. The property has 600 m2 built approximately is stately and elegant with the charm of a typical Andalusian cortijo, wooden beam ceilings, antique floors, wooden windows.